Stamp Magazine Blog: Junk Mail! Yes, you've guessed right. The 'Junk Mail' article, by John Winchester, is my favourite bit of this month's Stamp Magazine. As you may know, I like my definitives, wherever they're from, whenever they were issued. But the Chinese ones are still an unknown quantity to me. 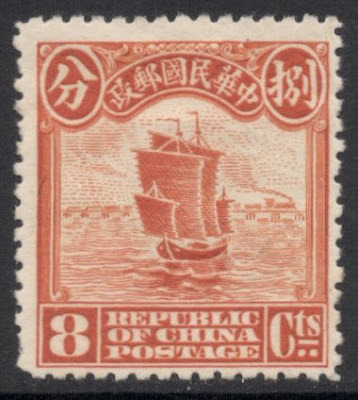 It was therefore good to read about these Junk definitives, which were the first proper definitives of the Chinese Republic, issued in 1913. Of course, I'm not going to give away too much of what's in the article; I suggest you go out and buy a copy while you still can! Or if it's too late for that, why not try and get a back issue. But what I will tell you, and even show you, is about the three different printings of those stamps. Waterlow & Sons were the first printers to print these Junk stamps. Their 1913 stamps have become known as the London Printings. 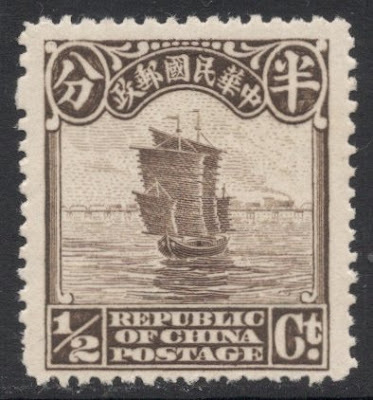 They were followed in 1914 by the First Peking Printings. 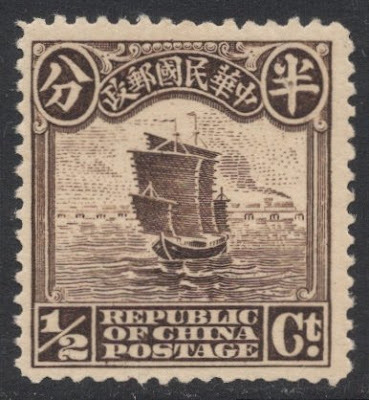 Although the stamps look very similar, there are ways to distinguish them. If you look at the fringe below the top tablets, you might see that the London ones are slightly shorter and a little less dense. But personally, I prefer to look at the waves below the junk. 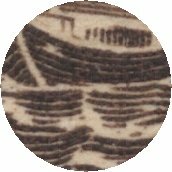 It's fairly easy to see that the waves touch the junk on the Peking printings whereas they don't on the London printings. But it goes on, for there is also a Second Peking Printing, dating from 1923. This one is very easy though, for there is no fringe anymore at all. Now you see why I like definitives? You don't get that with single printing commemoratives, now do you?! And then I haven't even started on the overprints, the various papers and all that jazz. So much more to collect with these stamps. But like I said, you'll have to read the article for that. Sorry! Very well observed, Toon! Yes there is a steam train running through the background of this stamp. The design is supposed to represent "progress in transport", hence the old way of transport, the junk, and a more recent one, the steam train.